More than 200 questions and objections with short, common-sense responses to those who embrace the foolishness of atheism and the unscientific and unobservable blind faith of evolution. 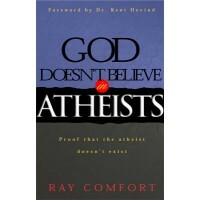 Paperback | 134 pages | Ray Comfort | Take a sneak peek inside. Many Christians are intimidated by atheists, whose carefully crafted questions are designed to rip Christianity in pieces and devour the faith. But a close look reveals that the atheist's arguments are toothless, as harmless as sharks that feed only on plankton. This brief book, in just a few sentences each, will give you concise, common-sense responses to those who embrace the foolishness of atheism and the unscientific and unobservable blind faith of evolution. The more than 200 questions and objections in this publication have been adapted from those asked by actual atheists. 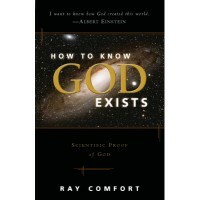 Very simple to understand Review by Tommy R.
I love how Ray Comfort shares the truth lovingly and yet very boldly. He responds to easy and difficult questions and objections with biblical, logical, and reasonable answers. Great for the Christian who wants to learn how to respond, and build stronger faith in our awesome God. Also great for the skeptic with honest questions.